Three self-published books are among the finalists for the Aurealis Awards, presented for science fiction, fantasy and horror writing in Australia. We Ride the Storm by Devin Madson is one of six finalists in the best fantasy novel category; Deathship Jenny by Rob O’Connor is one of three finalists up for best graphic novel/illustrated work; and David Versace’s ‘The Dressmaker and the Colonel’s Coat’, which appears in his collection Mnemo’s Memory and Other Fantastic Tales, is one of six finalists for best fantasy novella. The winners will be announced on 4 May at a ceremony in Melbourne. For more information about this year’s awards, go to the Aurealis Awards website. This news story first appeared in Books+Publishing on 25 March 2019. Books+Publishing is Australia’s leading source of print and digital news about the book industry, keeping subscribers up to date with the latest industry news, announcements, job advertisements, events, trends and more. In the UK, self-publishing marketplace Reedsy has launched a new marketing platform for authors, Reedsy Discovery, reports Forbes. The book review portal will alert readers to new books its expert reviewers have recommended each week. Users will also have access to curated digital bookshelves, preview chapters, a weekly newsletter of top books across genres, and will be able to connect with other readers over the platform. Self-published authors are charged US$50 (A$70) for exposure on the site and can make their books available to reviewers for download prior to their book launch date. Reedsy CEO and co-founder Emmanuel Nataf told the Bookseller’s FutureBook ‘as most authors are not interested in marketing and the self-publishing market keeps growing, we felt we had to do more to help authors reach their audience’. Nataf said the platform is aimed at ‘a range of people’, including authors, reviewers and readers. ‘For reviewers, it’s an opportunity to build their audience … readers get a space to follow new indie releases and share them with friends, plus curated selections of books in their favorite genres,’ said Nataf. Reedsy was founded in 2014 and includes 150,000 authors in its community, as well as editors, designers, marketers and ghostwriters. Kelsey Oldham talks to booksellers about stocking self-published books. Most Australian bookshops acknowledge that stocking self-published books is important—in theory. In practice, however, store policies are often opaque or ad-hoc, and whether or not a book is stocked is dependent on a number of factors that can vary wildly from author to author—including design, subject matter and price. Unfortunately, despite best intentions, a lot of the time self-published titles have trouble moving for a number of reasons, including a lack of publicity and marketing support. However, both inner-city and regional booksellers seem to be having success with a particular kind of self-published book—those by local authors. Melbourne’s Brunswick Bound has a strong focus on local self-published authors, as does Collins Booksellers in Thirroul, New South Wales. National franchise Dymocks is also committed to supporting Australian authors. However, Dymocks acknowledges that the logistics around national coverage are difficult to organise when it comes to self-published books. The solution to this, according to Dymocks general manager Sophie Higgins, is for authors to approach their local shops first. 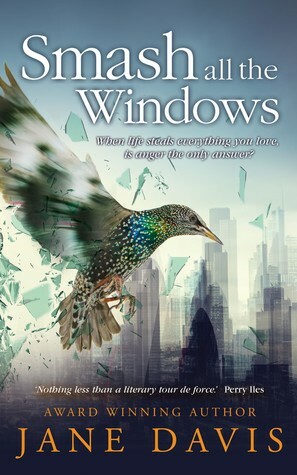 ‘When a self-published author is already stocked in a local Dymocks store they can then show success and early sales, which is helpful in making decisions about stocking more broadly,’ says Higgins. This feature story first appeared in Issue 1 2019 of Books+Publishing magazine, your inside view to the Australian and New Zealand book industry, celebrating 100 years in 2021. Matt Simon spent 25 years in senior executive roles for multinational companies like J P Morgan, Standard Chartered Bank, Merrill Lynch and NAB—but one day, he realised he’d had enough. 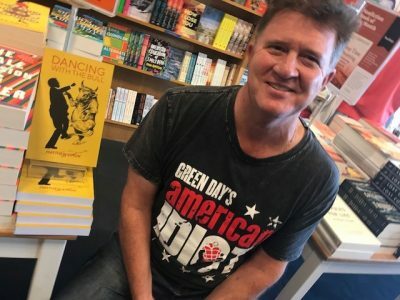 This month, he spoke with Australian Self-Publisher about self-publishing his first book, Dancing with the Bull, which draws on his experience in the corporate world. Dancing with the Bull—the corporate odyssey of Luke Glass, a reluctant journeyman. A humorous yet thought-provoking tale exploring the ‘busyness’ and downright absurdities of modern corporate life, the eclectic mix of complex characters it breeds, troublesome dogs, and the choices we make along the way. I very much appreciate and understand that none of it was personal, but after a long and protracted period of receiving rejection slips, rejection emails, and in some cases silence from a long list of literary agents and a few carefully selected publishers, I finally took the hint, reworked the manuscript (taking heed of suggestions made) and decided that the only way I was going to see Dancing with the Bull in print was to do it myself … And I am so glad I did. Dancing with the Bull commenced its journey in Melbourne in August 2011, and came to print in November 2017, with a reprint in December 2018 (and here I thought that it would only take about two years to write a book). As a first-time author, without a doubt the best thing I did was to engage a mentor/editor, as well as a sage counsellor, to accompany me on the bumpy ride as I wrote Dancing with the Bull. Every two weeks I would pack up my manuscript and discuss all I had written—the good, the bad and the ugly—then go home and write some more. For me, writing a novel was as much about learning about myself, as the book. Sharing that experience with someone along the way was invaluable. Many others assisted on Dancing with the Bull, including beta readers, copy editors and those who have successfully been through the process and could offer sound advice. 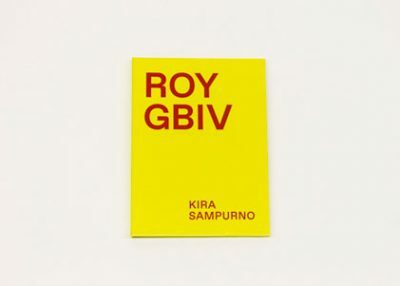 However, where I was most fortunate was having an expert ‘technical advisor’ (Michael Bannenberg) who not only designed the cover and typeset the book but also organised and arranged the printing for both the initial release and the reprint. Dancing with the Bull has many colourful characters, but aside from the protagonist, Luke Glass, and the troublesome dogs, Belle and Frankie, only one other character has an actual name. Instead, labels are used. These become most apparent in the workplace, where Luke comes across an array of work colleagues and senior managers including the Busy People, the Extremely Busy people, the Extremely Busiest of the Extremely Busy People, and the Jackal, to name a few. In addition, the gender of characters is recognised sparingly, the result of which gives rise to some interesting reader observations through a lens of unconscious bias. Seeing Dancing with the Bull come to life and being asked to speak about it as an author. For someone looking to change direction in life, this has been the biggest thrill. A wise person once told me that a book is never finished; it merely stops. Stopping all the tinkering and reworking with Dancing with the Bull was a much harder task than I originally anticipated; almost as challenging as distribution and promotion. What would be your top tip for those starting in self-publishing? An excellent question, and one that I once responded to by saying: ‘I don’t have any advice, you’re on your own, work it out for yourself.’ But seriously it may sound cliché, but passion and continued belief in your project are paramount. If you are like me, you are going to get lost and have a bad day or two, possibly three. Don’t worry, it’s all part of the territory. In the back of my mind I have a title, ‘Dancing with Helena’, a novel exploring one family’s evolving relationship with money, power and influence as it moves from generation to generation. Unsubscribe from all Thorpe-Bowker emails here.